Central Europe has long been involved in the production of migrants, as well as in the production of migration, acting as a place of collection and dispatch for women and men en route to new lives elsewhere, and as a place of ‘frenetic standstill’ for others, awaiting opportunities. This presentation will reflect on the history of migration from, and in, Central Europe over the last hundreds of years, considering the significance of transatlantic migration, as well as migration within the region more broadly, through a variety of persona narratives and reflections. The event is the keynote lecture of the conference New Perspectives on Central European and Transatlantic Migration, 1800-2000 organized jointly by the Institute for Advanced Studies at CEU and the Botstiber Institute for Austrian-American Studies. 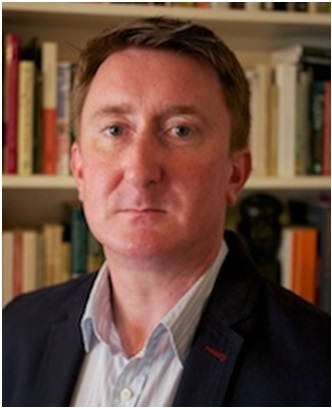 William O’Reilly is a University lecturer in Early Modern History at the University of Cambridge. He is the Associate Director of the Center for History and Economics and a full-time fellow at the Institute for Advanced Study at CEU. He has worked on a range of topics in early modern European and Atlantic history, and is particularly interested in the history of European migration, colonialism and imperialism. His most recent publications include Selling Souls. Trafficking German Migrants: Europe and America, 1648-1780 (Cambridge University Press, forthcoming) and The Atlantic World, 1450-1800 (Routledge, 2014).